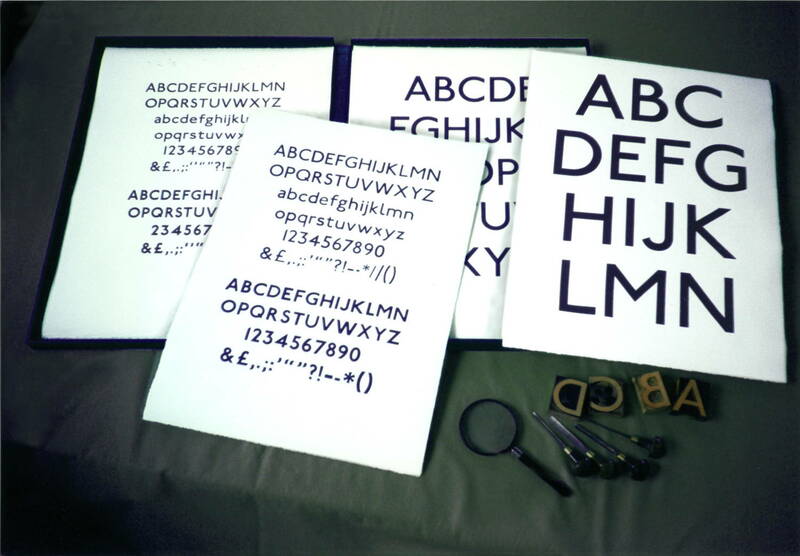 Proofs of the surviving wood and metal poster type designed by Edward Johnston in 1916 for the London Underground. The story of Edward Johnston’s commission to design a typeface for the London Underground has been fully documented by Justin Howes in his `Johnston’s Underground Type’ (Capital Transport, London 2000). 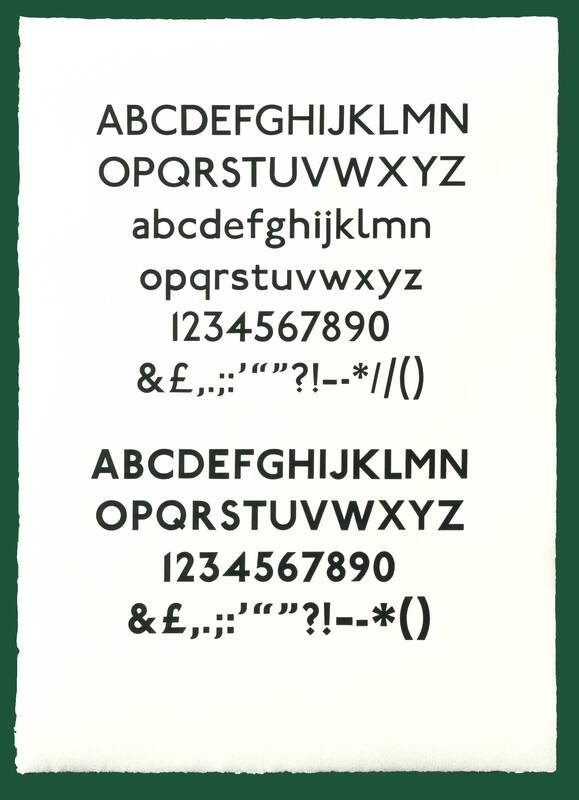 This very small edition presents a complete collection of all Johnston’s alphabets and is printed from the surviving wood and metal type. 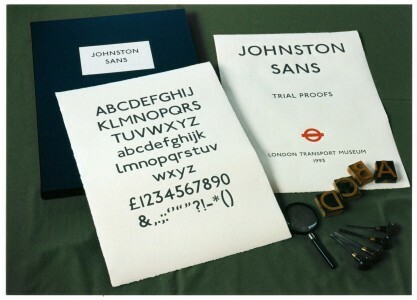 It was prepared for the London Transport Museum’s archive. 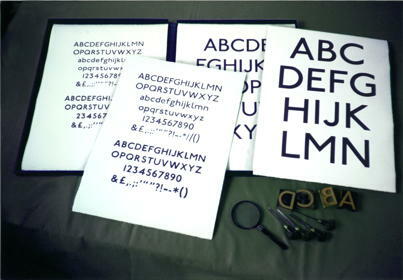 The contents: 18 Founts of wood type and 3 sizes of foundry metal type. Title page printed in red and black; 25 sheets of alphabets; Colophon. 14 numbered sets: Nos. 1-4 on Zerkall toned mould-made paper, 615mm x 445mm; Nos. 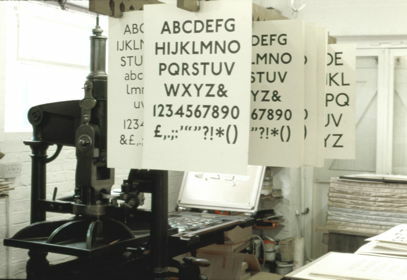 5-14 on cartridge, 640mm x 445mm. Unbound sheets laid in a Solander box with a printed label. 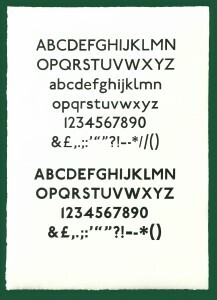 Printed for London Transport Museum, 1993.